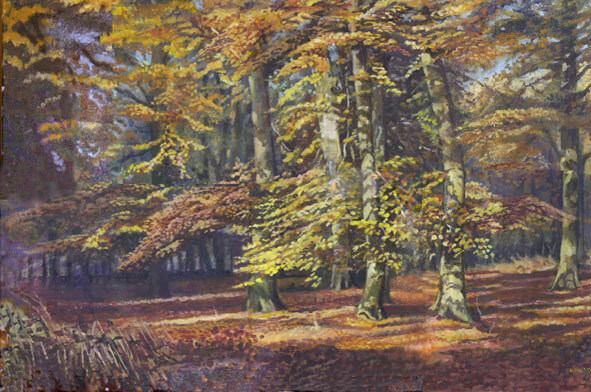 Example of commisioned work “Autumn Beechwoods Sywncombe” Oil colour 36×24 inches, 2009. Martin can be commissioned to create works in all media: Bronze, Wood, Paintings of landscapes in oils and watercolour. He personally undertakes all aspects of bronze casting and patinating. Martin has produced monumental sculpture for White Hall, London, and a huge abstract piece for Saudi Arabia.